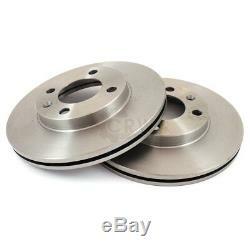 Brake discs front rear brake pads for audi cabriolet 8g7 b4 coupe 89 8b. This product page has been automatically translated. If you have any questions, do not hesitate to contact us. 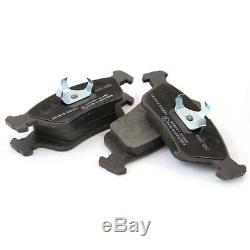 1x brake pads set (4 laundry baskets, left + right). Game x 2: 2 x rear disc brake. 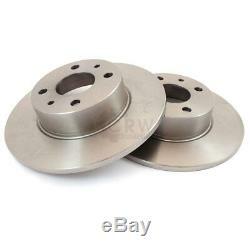 2x set: 2x front brake discs. 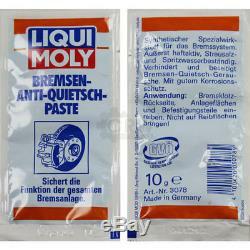 1 x presto brake cleaner 600 ml. Right (passenger side) and left (driver side). Number aac: 20669 / 19,4 braking system: lucas. Delivery may vary from image. 119.3 mm, 87 mm. 19.4 mm, 16.5 mm. 69.6 mm 66.8 mm. Type of disc: full 2 ​​years manufacturer's warranty. 4 type of disc: ventilated 2 years manufacturer's warranty <. Special synthetic lubricant properties for the braking system. Extremely active way, road salt and splash resistant. 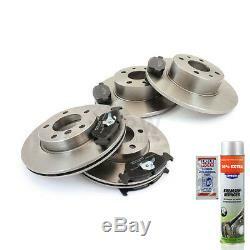 Prevents and eliminates brake squeaking noises that occur between brake caliper pistons or fulcrums and brake pad up to. Safeguarding all the function of the braking system and prevent fixed welding or rust solid rim on the hub of the wheel. Temperature range: -40 ° C to +1200 Reason for all brake system brakes blocks, bolts, pins, as well as contact points for drum brakes. Separate the paste for the centering rings on aluminum rims, connection points between the rims and wheel hubs and other connected and screwed. Content conditioning: 10 g plastic pillow note application notes rear brake pad, surfaces and fasteners wearing rub. Do not put on friction surfaces. Presto brake cleaner is suitable for removing oil, grease, dirt and brake fluid from brake drums, -dust, discs, -klötzen, hoses, work rolls and clutch parts. 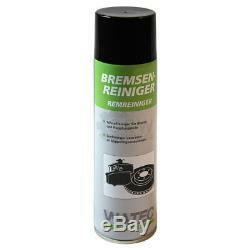 It prevents crunching of brakes, cleans engines, machines and other parts thoroughly, leaving no residue. Quality and properties high dissolving power leaves no residue does not attack o-rings and hoses special zusammensellung chemical stark removes grease and water displacement mechanical cleaning with concentrated spray does not contain chlorinated hydrocarbon dries quickly without leaving any residue non-corrosive non-conductive strong directional jet remark trg 300 physical and chemical data base: aliphatic hydrocarbons color: transparent odor: characteristic density at 20 ° c: 0.70 g / ml aussprührate: 4.11 g / sec. Vapor pressure at 20 ° c: 5.5 - 6.5 bar refractive index at 20 ° c: 1.398 propellant: carbon dioxide, propane / butane durability / stability: 10 years if appropriate storage available = 10 ° -25 ° C, relative humidity 60% max. Container / contents: intubation box with net volume 500 ml environment and eco-friendly labeling: duplicate motip products are 100% free of harmful heavy metals. Caps and packaging in recyclable materials. Disposal: only completely containers for empty recycling. Bring containers of hazardous waste site residues. Identification: all the articles of duplicate wordip correspond to the current state of the labeling provisions according to Directive 1999/45 / EC. All aerosols meet the trs 200 and 300 trg, as well as aerosol directive 75/324 / cee in the current version. Instructions before use, read the warning texts carefully and always pay attention! Application: bring box at room temperature. Operating temperature 5 ° to 30 ° c.
Painted parts or plastic parts cover. 2 shaking minutes before use. The surfaces to be treated evenly spray until the earth is gone. Post-treatment for stubborn dirt with a brush or a brush. Be sure to turn electrical components and electrical equipment before application and 15 minutes after treatment again (brake cleaner contains flammable solvents). 60743578; 9945750; 82444381; 9941873; 60760120; 5892650; 60743565; 82444382; 9945629; 77362187; 0005892650; 9939503. 443698451a; 447,698,451 c; 8a0615301e; 8 to 0 698 151 (b); 447698451c; 4d 0 698 451b; 8 to 0 698 151 (b); 4d0698451b; 437698151; 451b 443,698; 443698151 k; 437698451; 447,698,451; 447698451; 4d 0 698 451; 437,698,151; 4d 0698451; 447,698,451 c; 857698451; 5892650; 859,698,151; 859698151a; 443615601; 443,698,451 b; 443698451b; 4 to 0 698 451; 8 to 0 698 c 151; 4a0698451; 857,698,451; 8 to 0 698 151 (c); 4d0698451f; 4d 451a 0 698. 4d 0 698 451 f; 8a0698151b; 443,698,451; 443698451; 447,698,451 a; 8a0615301a; 443-698-151 k; 447698451a; 4d 0 698 451 (a); 443-698-151 k; 4d0698451a; 447,698,451a; 9945629; 443,698,451 c; 443,698,451 c; 4 to 0 698 451 (a); 4a0698451a; 4d 0 698 451b; 4d0698451g; 4d 0 698 451f. 437,698,451; 859698151; 8a0698151c; 443,698,451 a. 4d0698451a; 4d 0 698 451 (a); 4d 0 698 451 f. 60,743,578; 9945629; 437698451; 60743578; 447698451a; 82,444,381; 857698451; 9,945,750; 60760120; 5892650; 8,244,481; 0060743578; 443698451b; 4d0698451a; 9,941,873; 60,760,120; 9945750; 443698451; 77362187; 4a0698451; 82,444,382; 0005892650; 60,743,565; 9941873; 82444381; 8,244,432; 0060760120; 60743565; 447698451; 5,892,650; 4d0698451b; 9,945,629; 77,362,187; 82444382; 7,736,218,7,994 in 1873; 0060743565; 443698451a; 9939503; 4d 0698451; 9,939,503,939,503; 60760120; 0060743565; 0005892650; 60743565; 994.18. 73; 77362187; 5892650; 9945629; 82444382; 9,941,873; 0060743578; 5,892,650; 9939503; 82444381; 60743578; 9945750; 9,945,629; 0060760120; 9941873. 447698451c; 8a0698151b; 4d 0 698 451f. 4 to 0 698 451; 8 to 0 698 151 (b); 451b 443,698; 8a0698151c; 443-698-151 k; 4d 451a 0 698. 4a0698451; 9945629; 447698451; 4d0698451b; 443698451a; 4d 0698451; 437698451; 447698451a; 857698451; 443698451b; 4d0698451a; 443698451. 4d0698451f; 4 to 0 698 451a. 443698451; 8a0698151c; 447698451a; 4d0698451a; 447,698,451a; 8 to 0 698 151 (c); 443698451c; 4a0698451a; 4d0698451g; 4d 0 698 451; 437698151; 443698451a; 443-698-151 k; 447698451c; 4d0698451b; 4 to 0 698 451; 437698451; 447698451; 4d 0698451; 857698451; 8 to 0 698 c 151; 8a0698151b; 443698151 k; 443698451b; 8 to 0 698 151 (b); 4a0698451. 443698451a; 447698451c; 4d0698451b; 437698451; 451b 443,698; 447698451; 437698151; 4d 0698451; 443698151 k; 857698451; 443698451b; 8 to 0 698 151 (b); 4a0698451; 4d0698451f; 8a0698151c; 443698451; 4d 451a 0 698. 447698451a; 8a0698151b; 4d0698451a; 443,698,451a; 443698451c; 4a0698451a; 4d0698451g. 443,698,451a; 859,698,151; 4 to 0.698. 451; 443,698,451 b; 447,698,451a; 8a0698151b; 4 to 0 698 451; 443698451b; 4d 0 698 451 g; 437 698 451. 443698151 k; 0698451; 4 to 0 698 451. 8 to 0 698 151 (b); 4d0698451g; 4 0 698 451a. 443,698,451; 447,698,451c; 437698151; 447,698. 451; 8 to 0 698 151 (c); 4d 0.698. 451b; 447,698,451 a; 437698451; 4, 698,451; 447 698 451 c. 151c; 447698451c; 443 698 451 b. 443-698-151 k; 443 698 451. 451 b 443 698; 443698451a; 4 to 0 698 451 (a); 4d0698451f; 4d 0.698. 451; 58 92 650; 443,698,451 c; 859698151; 4d0698451b; 8a0698151c; 4, 698,451; 447698451; 857,698,451; 447,698,451 to 4, 698,451; 8 to 0 698 151 c; 4 0 698 451 b; 443,698,451 a; 4d0698451a; 857698451; 447,698. 451; 447,698,451 c; 443698451; 4, 698,451; 443,698,451 to 151 k; 4a0698451; 857 698 451. 437 698 151; 4a0698451a; 4 0 698 451. 4 to 0 698 451a. 437,698,451; 443698451c; 443,698. 451b; 8 to 0 698 151 (b); 4d 0.698. 447,698,451; 4 0 698 451f. 4 698 451 (a); 8 to 0.698. 151 (b); 447698451a; 447 698 451. 4d0698451f; 4 0 698 451a. 451; 437,698,451; 8 to 0 698 151 (c); 857,698,451; 437698151; 4, 698,451; 447,698. 451; 443698451; 447698451a; 4d0698451a; 8 to 0 698 151 (b); 4 0 698 451 b; 859698151a; 4 698 451 (a); 447,698,451; 443698451c; 447,698,451 c; 857,698. 451; 4a0698451a; 4d 0 698 451 g; 437,698,151; 447,698,451a; 4d0698451g; 4 to 0 698 451; 443,698,451 a; 8a0698151b; 443,698,451; 447,698. 443698451a; 447698451c; 443,698,451a; 4d0698451b; 443,698. 451b; 4, 698,451; 8 to 0 698 151 (b); 447,698,451 a; 4 to 0 698 451 (a); 443698151 k; 5892650; 437698451; 447698451; 859,698,151; 0698451; 443-698-151 k; 447,698,451c; 857698451; 4, 698,451; 443-698-151 k; 443,698,451 b; 4d 0 698 451 g; 443698451b; 443,698,451 c; 8a0698151c; 4 to 0.698. 451; 4a0698451; 859698151; 8 to 0 451 b 698 151 c; 443 698. These figures are for comparison purposes only. The items shown in this range are generally not original parts unless they are marked as such a usd rücklich. Illustrations and oe-no are for comparison purposes only may differ. All products are quality checked. Generally all in stock - so no waiting. 19.4 mm, 16.5 mm. 69.6 mm, 66.8 mm, 59 mm, 56.3 mm. 5892650, 82444381; fiat / lancia: 9945629, 9941873, 9939503. 8a0615301e; vag: 437698151; alfa romeo: 9945750; fiat: 82444382. Audi: 443698151k, 8a0698151b, 8a0698151c, 443615601, 8a0615301a. Bremskit, bremssatz, set, satz, kit. Rechts (beifahrerseite) und links (fahrerseite), hinten, vorne. The item "brake discs front rear brake pads for audi cabriolet 8g7 b4 coupe 89 8b" is for sale since Thursday, February 7, 2019. It is in the category "auto, motorcycle parts, accessories \ auto \ parts \ brakes \ kits braking systems ". The seller is "crw-carparts" and is located in leipzig. This item can be shipped to the following countries: America, Europe, Asia, Australia.